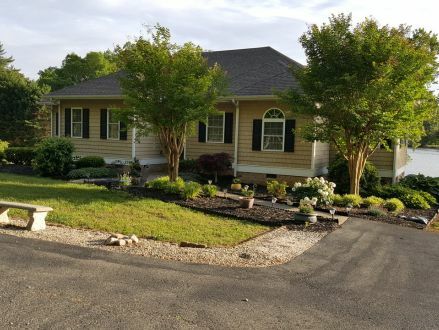 2399 Acoma Dr., Powhatan, VA 23139 - 1,788 sq. 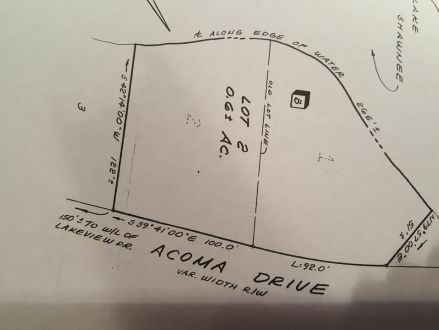 ft., 3 bedrooms, 2 bathrooms. Owner moving closer to children, leaving well kept home, Lots of storage, large attic, laundry room, closets, and under porch. All appliances including washer and dryer. Tankless water-heater - no more running out of hot water.Porch floor &amp; boat dock power washed and sealer applied last fall. Custom cabinets with pull out shelves. 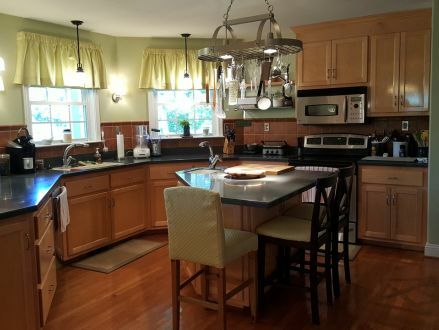 Lots of storage and counter top space. Owner loves to cook so It's a cooks kitchen. Layout saves steps for cook but plenty of room and counter space for a helper. Fireplace with built-ins on each side. 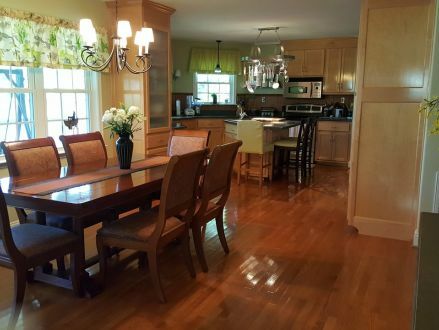 Large open concept Family Room, Dining Room &amp; Kitchen with view of lake from each. Also view of lake from Master Bedroom. Hardwood floors throughout living area. Part of open concept living area. 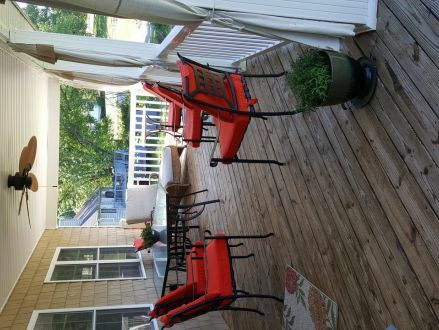 Opens onto porch. Great view of lake while dining. Large enough for current table which seats 8 and plenty of wall space for buffet or sideboard. 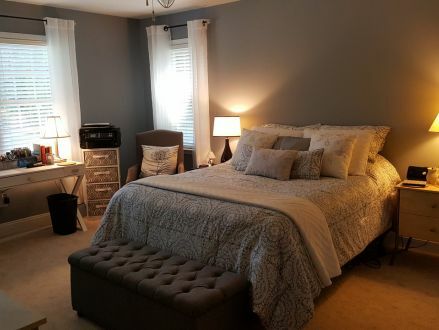 Master Bedroom w/lake view has walk in closet and bath.Two bedrooms on opposite side of house with large closets. 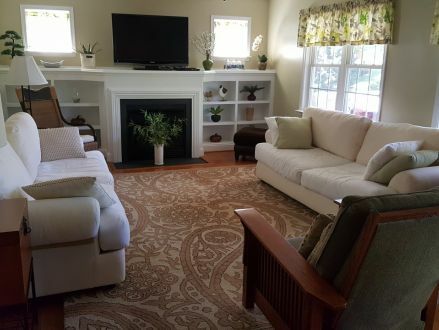 Also one small room between master bath and main hallway can serve owners purpose, office/nursery/sitting room, etc. New carpet in each of these rooms. 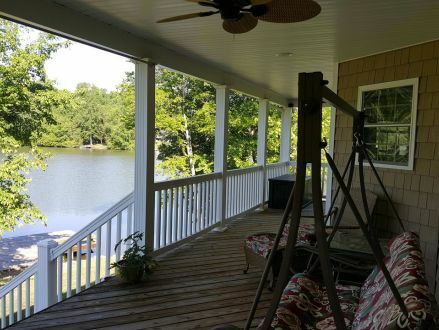 This is a Waterfront Property at 2399 Acoma Dr. in Powhatan, VA. The home has 3 bedrooms, 2 full bathroom, and 0 half bathroom. It's approximately 1,788 square feet. Built in 2004, the house sits on a 0.60 acre(s) lot, and its real estate taxes are approximately $2,052 annually.